Slip and fall lawyers assist in understanding the law and rules regarding an injury or accident that occurred on private or public property. There are many factors to be noted before filing a claim such as identification of the proper entity or person in charge of the location at fault. Even once you know who to sue, you must dig deep in the causes of the negligence to see if there is an actual case to be made. The victim should always seek legal help right after the injury as there is a time limit in which a person can file a personal injury lawsuit. A Slip and fall is a injury case is also known as a trip and fall. The claim is based on a property owner’s inattention or negligence in allowing hazardous conditions to exist which caused the injury. These claims are mostly included in the broad category of premises liability. After studying the injury and level of negligence in depth, a court of law will then decide if the property owner or the injured party is responsible for the injury. 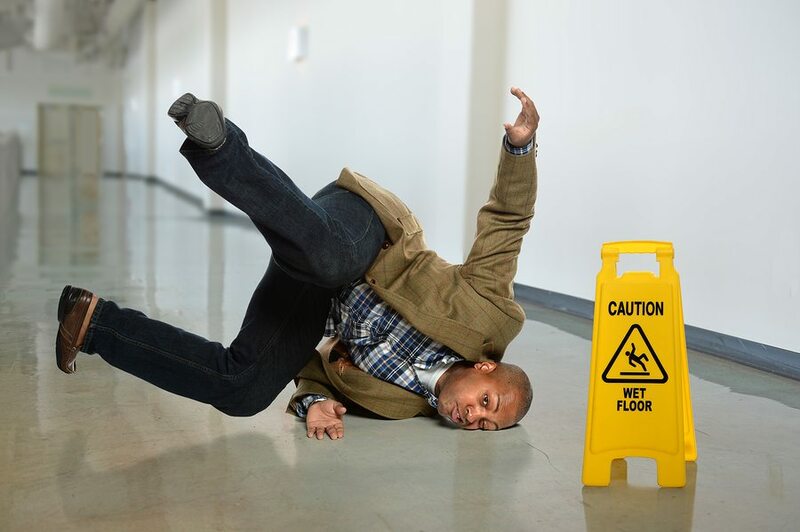 Slip and fall cases occur often, it can happen at friend’s home, government office or at a grocery store. The owner is legally responsible for the injury if his negligence led to the accident. There are different conditions which can cause an indoor injury. If the owner fails to provide adequate signs or warning of a wet/damp floor, applies uneven polish or floor wax, allows breaks or cracks to exist, has curled edges on the mats or rugs, has worn carpet, has debris on the stairs and/or has broken handrails they will likely come out guilty for negligence in a court of law. Many conditions can lead to outdoor slip and fall injury including icy sidewalks, poor sidewalk maintenance, mismanaged parking lots and inadequate outdoor lighting. The property owner may be legally liable if he or she knew the harm involved, but failed to take appropriate measures. It is not easy to prove who is at fault in slip and fall cases. A person can choose to go to trial or settle out of court. Whether you are pursuing an insurance settlement or a personal injury lawsuit, you will need to prove that someone else is responsible for your damages. The owner may also argue that the injured person is responsible for his own injury. This type of claim can be made under comparative fault. The following point should be investigated to prove who is at fault. Investigate if the plaintiff was preoccupied in any type of mind consuming activity such using a cell phone or talking to a friend while walking. It’s also important to see if the plaintiff noticed any warning signs. As you can see, the aforementioned cases can be very tricky and easily turn into a speculative battle of hearsay. This is why both parties need to hire a local attorney after the injury occurs and hire one fast.